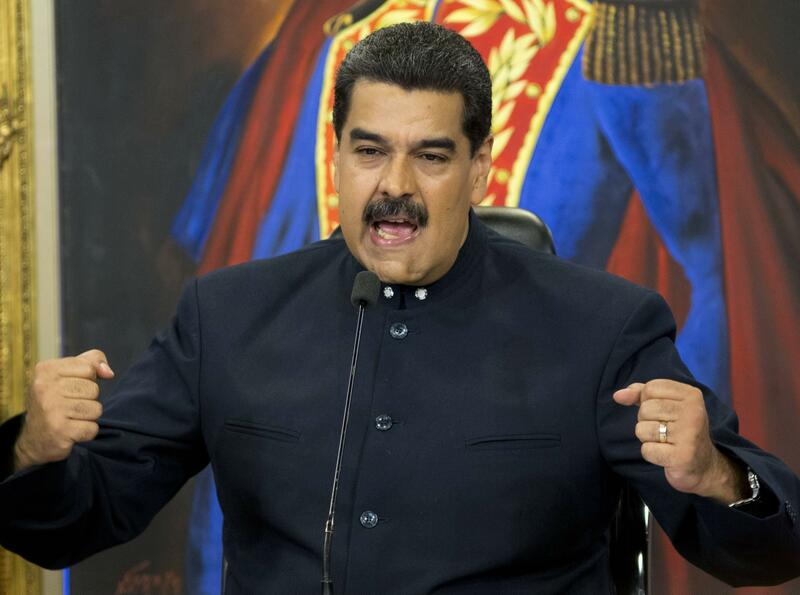 CARACAS, Venezuela – President Nicolas Maduro is doubling-down on plans to concentrate power by calling Wednesday for early congressional elections to coincide with a presidential vote in April that opponents hours earlier said they would boycott unless steps are taken to ease fears it’s rigged. Pushing ahead a vote for the democratically elected National Assembly could spell a shake-up in the last branch of government still out of Maduro’s control. The opposition’s move edging to an outright boycott means Maduro is unlikely to face any major challenge in the April 22 race despite widespread anger over his handling of an economy marred by soaring inflation and shortages of food and life-saving medicine. The opposition’s announcement came after several days of closed-door talks on whether to field a candidate or not. While hardliners were pushing for a boycott, some moderates left open a slim possibility of participating. Reflecting those divisions, the opposition in a carefully worded statement said while it couldn’t partake in a fraudulent election, it was challenging the government one last time to reverse course before a deadline in the coming days to register candidates. The election has drawn wide condemnation from the United States and other countries for breaking democratic norms, and it comes at a critical moment for Venezuela, once among the region’s wealthiest nations but sliding deeper into an economic and political crisis. Thousands have fled across the border with neighboring Colombia and Brazil, prompting calls from regional leaders for Maduro to return to democratic rule. Up to 79 percent of Venezuelans said they’ve eaten less in the past 3 months because they weren’t able to buy food, and 61 percent of them said they go to sleep hungry, according to the 2017 National Survey of Living Conditions released Wednesday and conducted by three of the country’s most important universities. Maduro has a low approval rating, but he’s managed to secure his likely re-election by driving the most popular politicians and political parties abroad or banning them from participating in politics. Among its demands, the opposition pressed the government to drop a ban on major candidates, reform the pro-Maduro National Electoral Council, and guarantee that Venezuelans living abroad have a chance to cast their ballot in the election. Opposition leader Enrique Marquez told the Associated Press on Wednesday that the coalition agreed that under the current electoral conditions they won’t participate. “We are not going to this election,” he said. Maduro said Wednesday the election will move ahead as planned “with or without” the opposition. He also proposed moving up elections for the opposition-controlled National Assembly. It’s unclear whether any opposition candidates will break ranks and square off against Maduro. A possible candidate is Henri Falcon, a former governor and one-time aide to the late President Hugo Chavez. Oropeza said the government continues to press ahead with an illegitimate process, but he remains among those holding out hope of the coalition’s participation. Published: Feb. 21, 2018, 12:29 p.m. Updated: Feb. 21, 2018, 4:10 p.m.